“I believe art has to be the yin to the yang of the community. There has to be an equal balance of the arts programs, to round out the community,” says Mary Gartlan, President of the Oshawa Art Association (OAA) Inc.
Gartlan isn’t alone in this thinking, Leila Timmins, Curator and Manager of Exhibitions and Collections at the RMG agrees that art in public spaces can give a community its own identity. “[The RMG] makes it easy for people to learn, come together and understand more about art and how it can enrich our lives,” says Timmins. The arts are a piece of a city’s puzzle and help enrich the city culture. After all, there’s a reason why Oshawa’s art harbouring hub, also known as the Robert McLaughlin Gallery (RMG), exists today. “It’s a very large institution, with a very large collection. 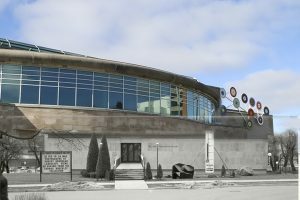 It’s a really stunning building and a stunning space that I think is really a source of pride for the community, that continues today,” says Timmins. The place many pieces of art call home was founded in 1967 after Oshawa designer William Caldwell organized an exhibition of local artists’ work on Simcoe Street. 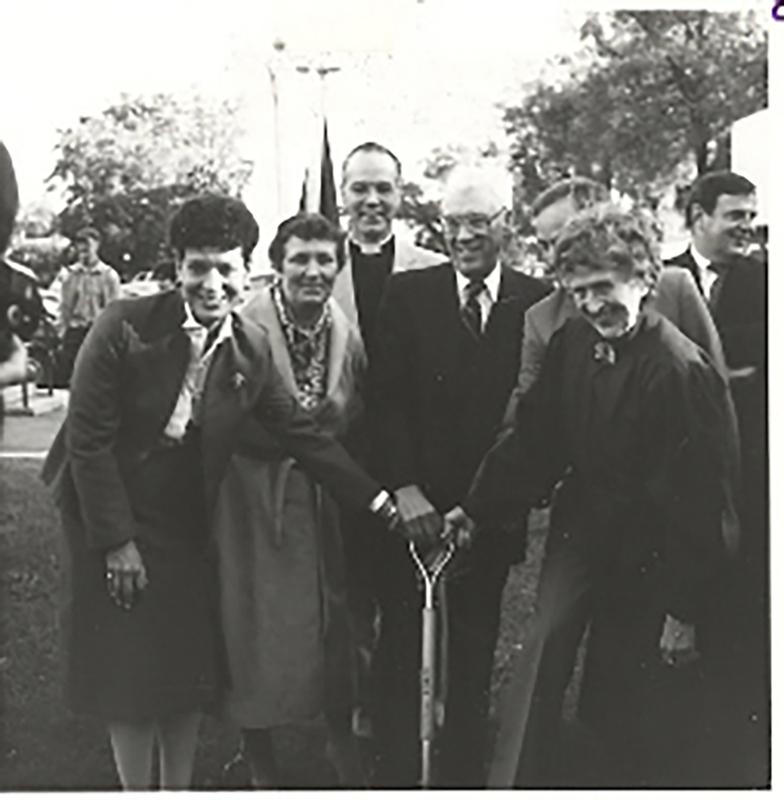 After seeing the need for the local arts to have a permanent place to call home, Ewart McLaughlin and his wife Margaret, known as painter Alexandra Luke, who is linked to the beginnings of abstract painting in Canada, contributed money to build the institution. The couple also donated works from their own private collection toward the RMG. “I definitely think there was a need for it. Many people from the community came together to make the gallery possible,” says Timmins. Additional funding and fundraising came from community members who saw the impact art has on the community, much like as Ewart McLaughlin and Luke. Two years later, the gallery was built on the lands and treaty lands of the Mississaugas of Scugog Island First Nation and the traditional territory of the Mississauga Nation. 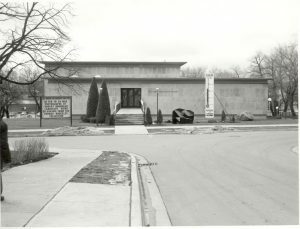 In 1969, the gallery was a square, stone, modernist structure which held only 6,000 feet of exhibition space, offices and vault storage. 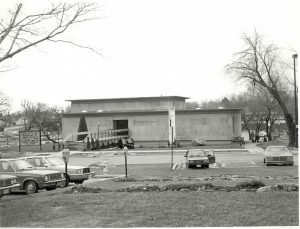 The space was fitting for the needs of the community and the RMG at the time, but in 1987, a $5.4 million dollar expansion was commissioned and designed by world-renowned Canadian architect Arthur Erickson. 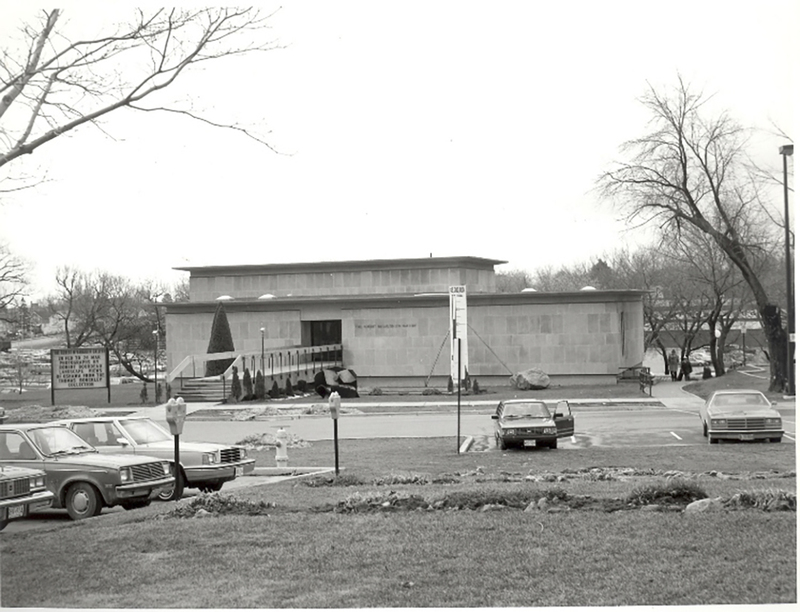 The expansion allowed for 36,000 square feet to be added to the existing gallery. This met the growing needs of the RMG and the community. Erickson’s design was built around the already existing structure, which incorporated the original stone front into the dramatic lobby design which is beaming with natural light due to the wide open skylights and 35 foot tall ceilings. This renovation allowed beautifully detailed long hallways, and bright, large, open concept galleries to become a reality. The gallery took the name of Robert McLaughlin after Ewart McLaughlin’s grandfather, who was also the founder of The McLaughlin Carriage Company. It seems the love and appreciation of the arts seeped into Robert McLaughlin’s veins and travelled down his bloodline. He was also the grandfather of prolific painter Isabel McLaughlin, a modernist painter who was known to have worked with The Group of Seven, specifically under Lawren Harris. 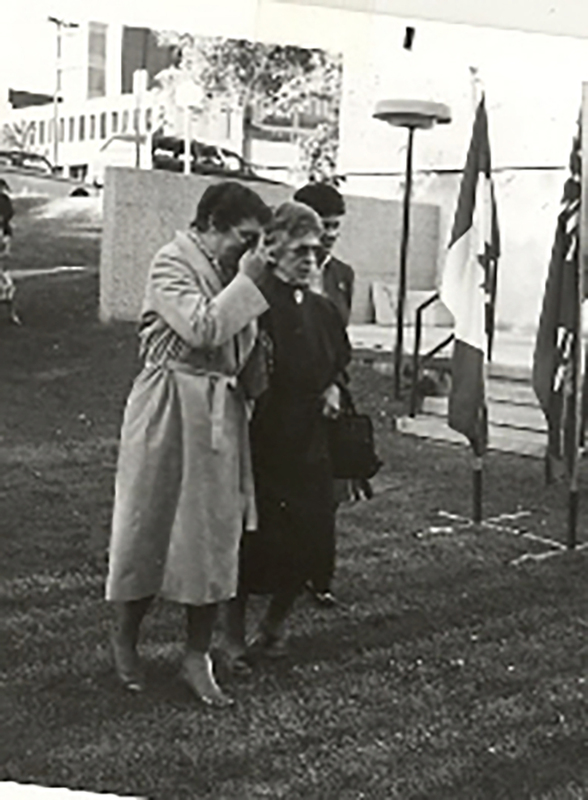 Isabel McLaughlin joined the gallery as a life-long patron who provided financial support and donated over 100 Canadian and international works. Although he was the grandfather of two important influencers of the RMG, the reason for McLaughlin’s name on the building is most likely due to his love for the arts. “Robert McLaughlin was a patron of the arts. The McLaughlin’s themselves were quite a benevolent family in investing in Oshawa’s cultural and artistic scene,” says Amanda Robinson, who worked at the Parkwood Estate as a student tour guide, a volunteer archivist and a volunteer programmer, for ten years. The estate is where Robert McLaughlin’s son Samuel, and his family, including daughter Isabel, lived. Although the estate is prominent in Oshawa, the gallery is no different. The art gallery is home to over 4,500 pieces of artwork, roughly 60 works are showcased at a time in the permanent collection galleries. The RMG has five galleries that hold different exhibitions and pieces of art. Among the other patrons of the RMG, including Isabel McLaughlin, were Alexandra Luke and Aleen Aked. Luke was a founding member of Painters Eleven, Ontario’s first abstract painting group. Aked was an accomplished artist who practiced in painting and gained experience in both Canada and the U.S. She did not pursue a typical career in art because she never saw her art as anything of importance for the art world. 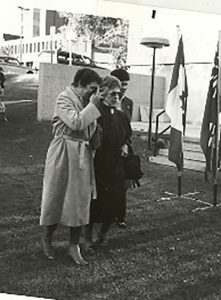 “Those three women were not the sole founders, but they’re really important founders of the gallery, which is a unique part of the RMG’s history … we have really strong, female patrons,” says Timmins. The necessity for art isn’t new, the history of the RMG proves it has been something present in Oshawa for a long time. 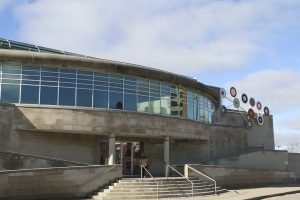 The gallery is the largest public gallery in Durham Region, and serves an important role in bringing art and culture to the community and from the community. One of the gallery’s well-known collections is the Thomas Bouckley Collection. It’s a photographic collection compiled by Thomas Bouckley. 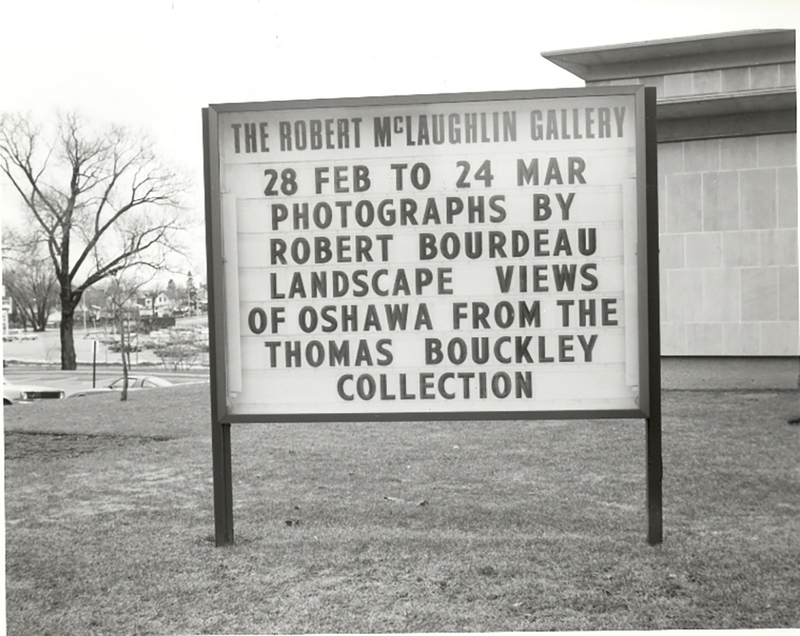 The collection was donated to the RMG by the late Thomas Bouckley. He was a collector and history enthusiast of Oshawa. The computerized collection contains over 3,000 photographs of Oshawa and Durham Region, over a timespan of 100 years. An important aspect of art is helping communities connect and express themselves through art. 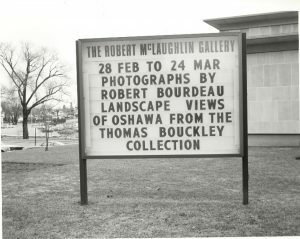 Collections like the Thomas Bouckley Collection, connect Oshawa and its community to its history and past. The gallery is a place for exploration and experimentation, a place where art, artists, and the community meet to come together through conversation. Gartlan, who’s been with the OAA for 13 years, agrees and encourages those in Oshawa to experience the RMG as many times as possible, to experience new things. Another advocate for the arts in Oshawa is Dr. Tess Pierce from the communications program at UOIT. Pierce represents the university on Oshawa’s Cultural Leadership Council, which examines and develops the arts and culture sectors in the city. Dr. Pierce believes arts and culture need to be better represented. “[Art] is a necessity for life. If a community wants to be a vibrant, live community, they have to have vibrant, live community members,” Dr. Pierce says. The RMG is a vibrant art gallery dedicated to sharing the stories of the vibrant, diverse community through art and education. Not only are arts and culture and spaces that house them necessities to the community, but they also impact the community along the way. The RMG’s vision is to see Oshawa and Durham Region flourish through arts, culture and community connection and resilience. This is why the gallery brings art pieces it believes will shape the discussion of the community, whether the art is by local or international artists. 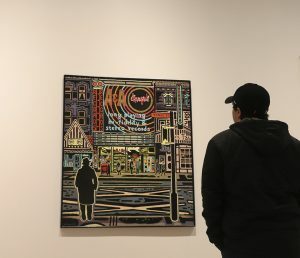 “It’s important for us to work with local artists and also to bring work that reflects the concerns and issues of [the] community and bring important conversations to Oshawa,” says Timmins. The gallery plays a crucial part in arts and culture education, while also connecting and inspiring Oshawa’s community.